Rafael Nadal entered the final of the China Open with a hard fought 6-3,4-6,6-1 win over Grigor Dimitrov. Rafael Nadal was forced into a third set before the world number one piled the pressure on Grigor Dimitrov to reach the final of the China Open on Saturday. 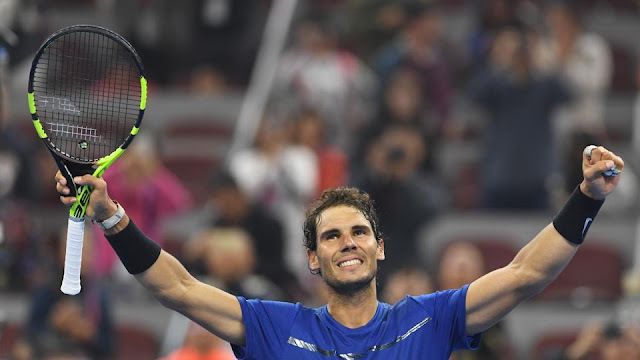 The 31-year-old Spaniard, enjoying a late-career flourish and chasing a sixth title this season, beat off the Bulgarian third seed 6-3, 4-6, 6-1 in their semi-final on Beijing’s outside hard courts. Nadal, good friends with Dimitrov, will face German prodigy Alexander Zverev or temperamental Australian Nick Kyrgios in Sunday’s final. Dimitrov battled back from a set down to take it to a deciding third set. But with the crowd behind him and Dimitrov visibly tiring, the 16-time Grand Slam champion Nadal stepped up a gear to ram home his superiority.